I-LIFE combines the hardware, software & services to involve in research, design & marketing to present innovative technologies applying into our daily life. This brand holds the position among the world’s top six PC companies with their appearance over 43 countries. Considering the variety, I-LIFE offers Tablet PC, Smartphones, Laptops, 2 in 1 devices, PC’s, Virtual reality and Wearable for the convenience of the consumers. Among these devices i-Life Zed PC is an amazing creation to harmonize the various needs through this single device. 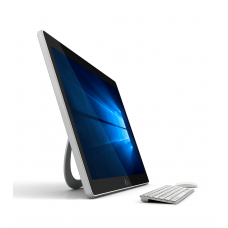 Accordance of the promise of this brand this all-in-one PC is the perfect example of multitasking tech item for home and office computing and entertainment. Star Tech offers the best deals for i-life PC in the market of Chittagong, Rangpur, Dhaka & Sylhet. This device combines the latest technology with your budget offering the best price and free gifts. Now you can order online to enjoy the luxury of having your desired PC at any destination inside Bangladesh.